that we are able to support worthwhile organizations like Children's Hope. again and see you tomorrow !!!! Sorry for the delayed response, we just got back from our honeymoon really late this past Friday night. No thank yous, necessary. You DESERVED IT!!! All thanks go to you for making it such an amazing and unforgettable night for us and our guests!!! We knew you could throw it down ol\' school and you absolutely rocked it!!! We picked you for that exact reason!!! We got compliments left and right about the music. Hands down, an incredible music selection and spinning job by you!! Also, thanks for letting Anil come up and DJ for a few minutes....he was so happy and loved it!!! Thank you so much for your prayers and well wishes. We absolutely appreciate it and we hope to see you soon!!! 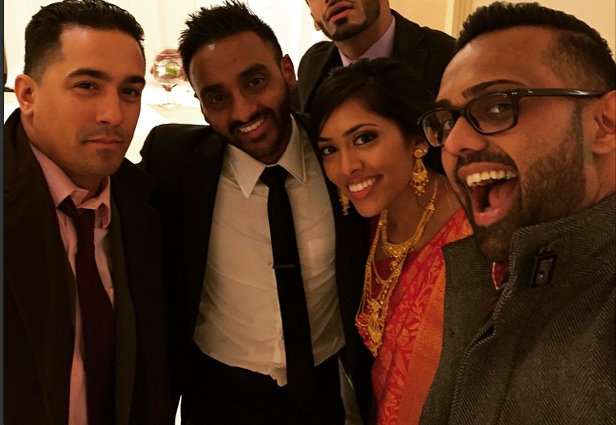 Neha and I wanted to take a moment and say thank you to you, Arun and Akshay for being part of producing Nikki and Nitin\'s Wedding March 6th & 7th, 2015. Arun and Akshay did an amazing job DJing both days. Thank you Sharad for being sure to communicate all the details with them. The Sangeet and Wedding Day went great and everyone truly enjoyed the music and entertainment both nights. Your team was awesome and we do hope we have an opportunity to work together again soon! Thank you and looking forward to working together in the future! We just got back from our honeymoon but I wanted to drop you guys a quick note and tell you all that you guys killed it! It was an amazing reception and everyone keeps talking about how ridiculous the DJ was. Thanks Guppy! I�ll be sure to fill our your post survey soon and leave some comments on rating sites! One question I got bombarded with was if there was a link to see all the photo booth pictures that were taken. If you can send that it would be awesome! Talk to you guys soon and once again�..YOU GUYS ROCK! As always, killed it--standard business! Just got emails from a lot of Senior leadership people (Pres, SVP, VPs, etc.) that the party was a great success and huge upgrade from last year. The music, branding, everything was perfect. Thanks again for helping me get this done right!!! Really appreciate it betaaaaaa's! "On behalf of the management team, WE are extremely pleased with the outcome of last night�s festivities!" "Congratulations guys. A very well done event. Many of our employees felt appreciated and had a blast. Great work putting a world class event together." "The space rocked. The signage was amazing. The cuisine perfect. That DJ... Woo Hoo. :)"
He listened carefully to what we wanted, his announcements/emcee work was fantastic, he was prompt and on time and everything was perfect. We wanted to thank you for a great party! MC Kaz was fantastic and the whole DJ crew were tremendous. 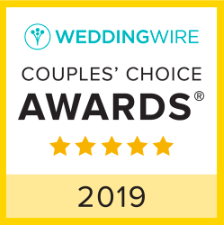 The customer service was excellent and we would definitely recommend DJUSA to our friends (as you guys were recommended to us as well). Thank you for everything. We had a fantastic time! 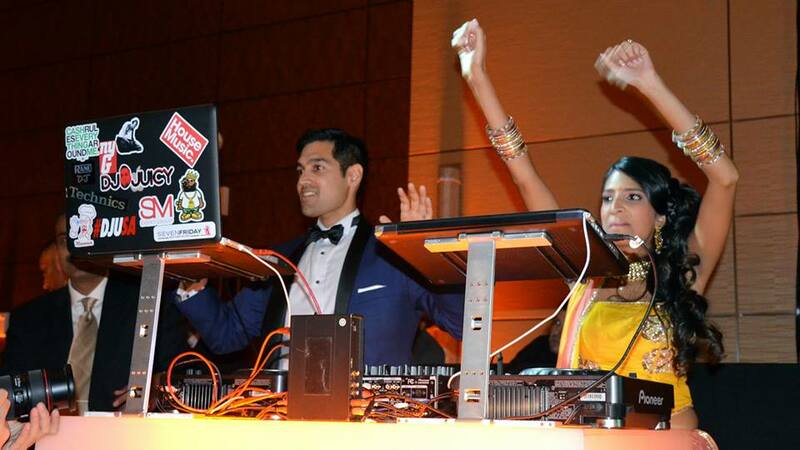 Everyone was dancing, last night � even our CEO! And he�s hardly ever danced at our parties before! Your DJs were respectful, FUN, energetic and absolutely catered to what we were looking for. They improvised and helped us calm the crowd down during our VP�s speech, and took direction from our planners with ease. I definitely look forward to working with your company next year, and the years to follow! Rohin & I would personally like to thank you for how flawlessly all of our wedding events progressed in Miami and for our engagement party last year in Toronto. Music is the heart of every party- and night after night, our guests had an incredible time. Co DJ Fatfingaz was also absolutely amazing and our guests can\'t stop talking about this. 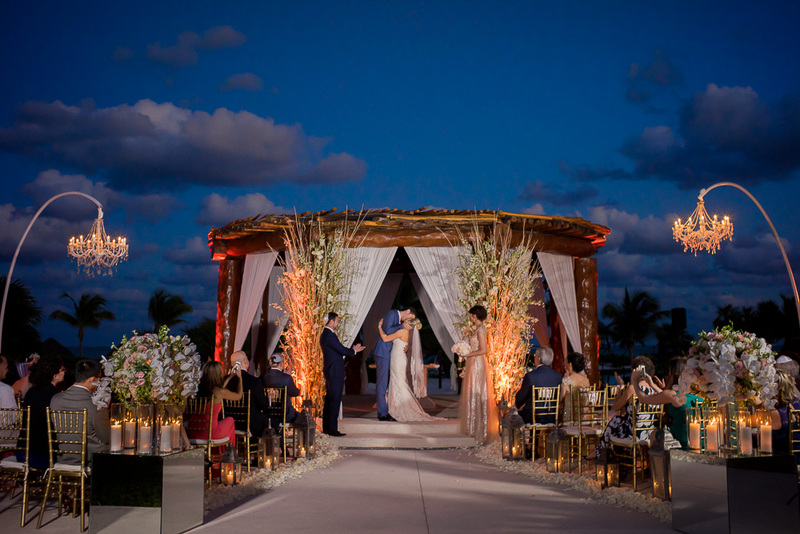 It is invaluable to have peace of mind when it comes to choosing vendors, especially for your own wedding. We will never look elsewhere for future family events! I will absolutely come to you guys again for future party needs. Thanks again and please convey my joy to Sharad! I just wanted to thank you and the team for an incredible job done on our wedding this past Sunday. Everything went smoothly and everyone had a great time dancing! I was asked by some people what the song was for the beginning of the Hindu wedding ceremony. If you can let me know I'd appreciate it. Also, in all of the craziness my father forgot to give out the tip envelope at the end of the night. I'll be mailing it out soon. with the confetti canons was a hit! thanks to the rest of your sound and lighting crew. Just wanted to drop you guys a quick note and thank you so much for making our wedding weekend so memorable. Everyone had an amazing time and was raving about the music at the reception. Your company is always professional and courteous and does everything possible to make their couple\'s event memorable. I wanted to THANK YOU and your entire team for all the assistance and service provided to make the party a HUGE success! Thank you for making planning a party from South Jersey easy and not stressful. I don\'t even know what to say about the kindness, understanding and commitment I experienced from you prior to the party and from the guys at the party. You all are great! 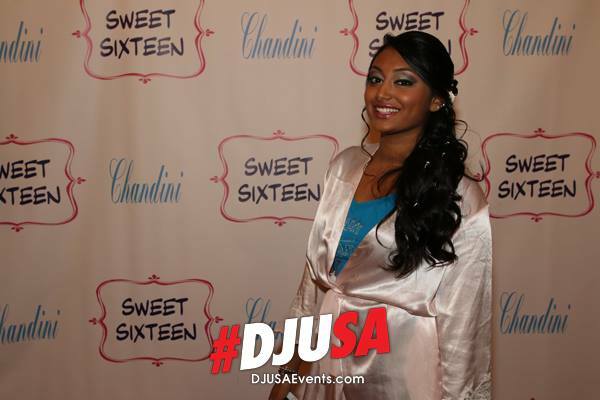 I am happy my dad found you and your team for Sarika\'s wedding - Chandini had an AMAZING time! And for a teenager it has to do with the music and the fun pictures with that crazy step and repeat! : ) I know all the guests had fun too....it was very unique and I have you to thank for it. Again, DJUSA is awesome! YOU are awesome! YOUR ENTIRE TEAM is awesome!